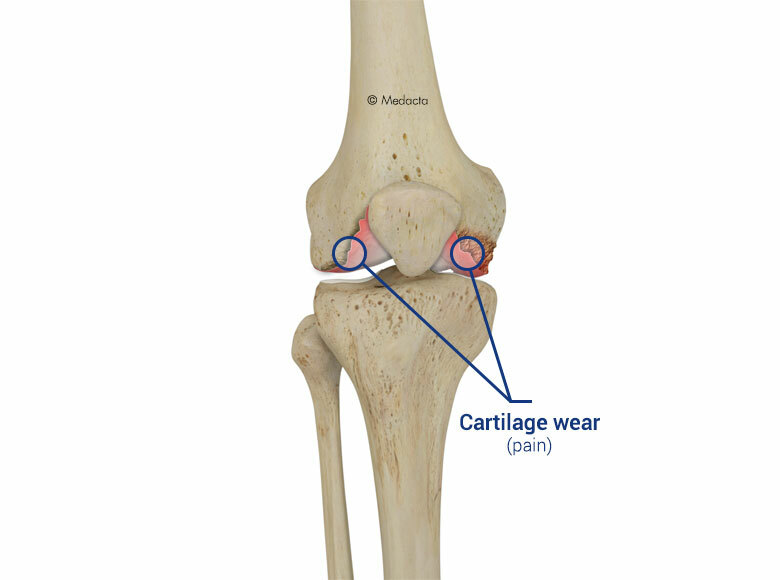 In cases of arthrosis, the cartilage deteriorates and the bones start rubbing directly against each other. The result is joint pain, which worsens day by day, and limits motion. Knee replacement is a common treatment for severe arthrosis. Knee problems can interfere with many things, from participation in sports to simply getting up from a chair and walking. This can have a big impact on your life. Successful knee replacement can result in dramatic pain relief and improvement in the knee joint function.